Every PC gamer knows the importance of a good mouse, and most general-use computer mice don’t offer the flexibility and customization options that you need for long gaming sessions. The Logitech G300s gaming mouse, now on sale for $20 on Amazon, has all the optical sensors and extra programmable buttons a gamer could want. This feature-laden optical mouse features a gaming-grade sensor with adjustable settings of between 250 and 2,500 DPI, letting you quickly change the sensitivity to suit your preference and desktop surface. The ergonomically-shaped housing isn’t too overwhelming in your hand and is symmetrically shaped for ambidextrous use, and the buttons are rated for up to 10 million clicks for long-term durability. 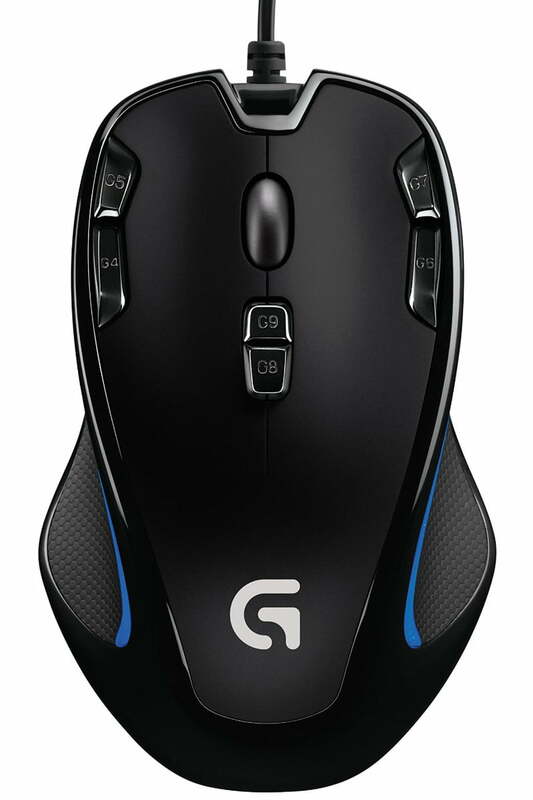 Along with the two standard buttons and center scrolling wheel, the Logitech G300s gaming mouse boasts six additional buttons for mapping keyboard macros right to your mouse. All nine buttons are fully programmable with the Logitech companion software for Windows operating systems: Simply fire up the program and drag and drop commands to each button for a totally customized setup. The included software lets you set unique configurations for different games, and can automatically switch between profiles as soon as you start playing. This mouse also features onboard memory which can store up to three user configurations, and built-in LED lighting lets you know at a glance which profile is being used. This prevents the need to run the software again or re-configure the macros and sensitivity settings when using the mouse on a different computer. The Logitech G300s gaming mouse normally goes for $40, but an impressive 50 percent discount brings this model down to just $20 on Amazon for a short time. The highly-rated Logitech lineup continues to prove that a good gaming mouse doesn’t have to cost much, and this is a good chance to score one for cheap.